I got into Sherlock just as the second season was released in early 2012, and the wait for the third season was long and very painful. Hannibal wasn’t the only tv show to have a great 2014. I got into Sherlock just as the second season was released in early 2012, and the wait for the third season was long and very painful. The fact that the second season ended on a cliffhanger of monumental proportions didn’t help. I wasn’t the only one who discovered Sherlock in the interim, and the hype had reached a critical point when the first episode of the third season was released in February this year. Boy did it deliver. 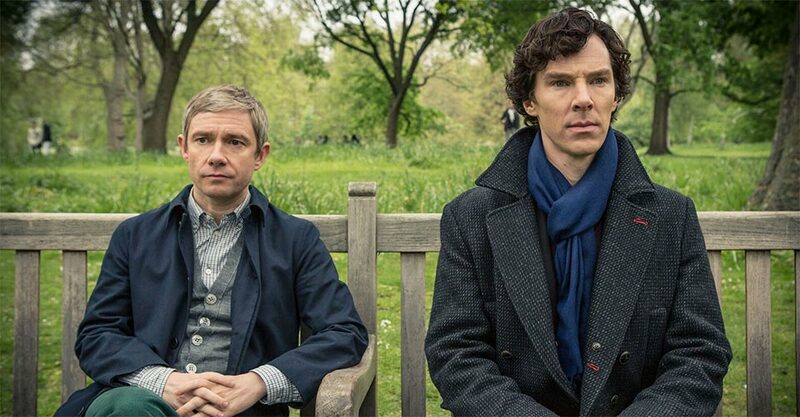 The third season further explores the relationship between Sherlock and Dr. Watson while introducing a new ally – Dr. Watsons fiancé, Mary – and a new villain. Lars Mikkelsen does an admirable job as the evil media mogule Charles Magnussen, even if he doesn’t begin to fill the shoes of Andrew Scott who played Jim Moriarty in previous seasons. Despite this, season three is probably the strongest season of Sherlock yet. Season one and two of Sherlock both had relatively weak second episodes. Sherlock season three has no weak episodes.